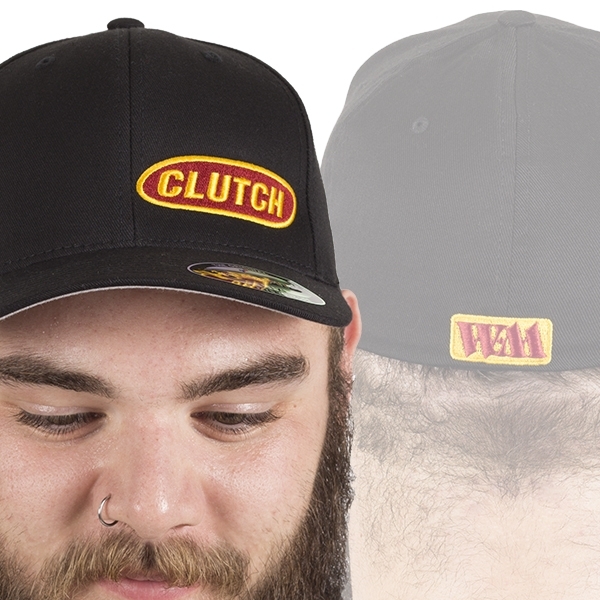 For Clutch, evolution is a way of life. On their ninth studio album, Strange Cousins from the West, the Maryland hard rockers continue to grow musically. Due out July 7th 2009, Strange Cousins sees the innovative quartet stirring up a sonic crock-pot of chugging blues riffs, punk rock grit, bombastic funk beats and raw, infectious vocals. Guitarist Tim Sult rips through epic grooves on cuts like "Motherless Child," while bassist Dan Maines and drummer Jean-Paul Gaster lay an impenetrable rhythmic foundation on the likes of "Minotaur." Meanwhile, Neil Fallon croons out a soulful cacophony, lyrically conjuring an intergalactic pulp fiction. Invite these Cousins in, and you'll never be the same. Neil sees this record as a logical progression for the band. Describing Strange Cousins' sound, he explains, "This album is more stripped-down and riff-oriented. The songs really cut to the chase—getting to the jump and getting out. There was an economy of writing, and the instrumentation stands out." The first single, "50,000 Unstoppable Watts" illuminates that. The track packs a potent punch, quickly bouncing and bobbing with a tasty riff and an even tastier rhythm. It'll also be fans' first bite of the album. One track that resonated with Neil instantly was "Abraham Lincoln." He continues, "The lyrics came to me in a flash right after we wrote the music. Writing lyrics can be a whole lot of fun because you're given license to completely lie to everybody. I can imagine myself as someone else and say whatever I want. It's no different than the short story writing process." In some ways, the album channels the boundless prog spirit of Clutch's earliest offerings such as their much-lauded, massively successful self-titled sophomore record. Strange Cousins is also a natural evolution from the psychedelic blues of 2007's From Beale Street to Oblivion. "There are a couple of grooves and swings in 'The Amazing Kreskin' that are reminiscent of things we did back in the early '90s. Those elements were always a part of our sound, and they've resurfaced here. To strip everything away and bring it down to brass tax was a really good exercise." Since 1991 these individuals have been challenging rock n' roll's limits, and Clutch show no signs of abandoning the unique experimentation that has defined them. Check out the Spanish cover of Poppo's Blues Band's "Algo Ha Cambiado" for proof. Neil's voice functions as an instrument on its own, and it helps carry Clutch into a new realm. "If you're not learning then you're retiring," says Neil. "You've got to take risks to learn, and there's always something to learn. When you go to your grave, you're only going to have learned a fraction of what's truly out there. This record isn't so far flung from our other albums and, as far as the spectrum of rock music goes, it's not alien. Nevertheless, if we repeated one formula that would be a slow death." 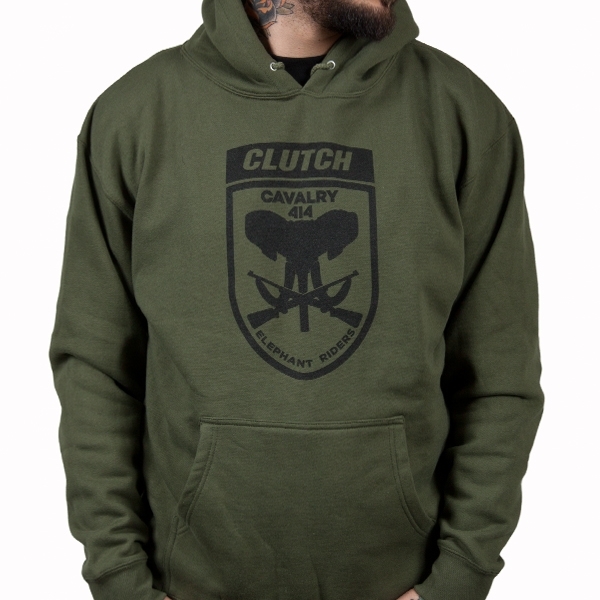 The only formula that Clutch will ever subscribe to is one of progression—on stage and off. Strange Cousins is particularly special for the band because it's the first full-length of new material to be released via the band's very own indie label, Weathermaker Music. 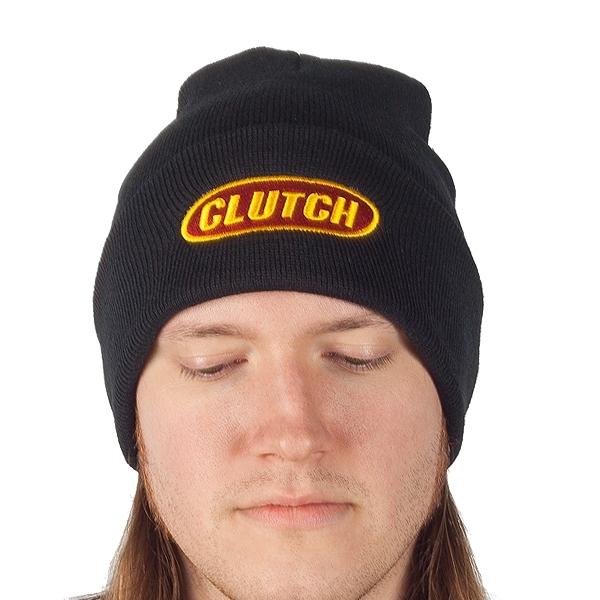 They released a CD/DVD collection of live songs, Full Fathom Five and The Bakerton Group's El Rojo through the label, but this is the first new Clutch to come from Weathermaker. "There is a sense of gratification when you can call all the shots and cut out some of the middlemen. There's no artistic difference between what we're doing now and what we've done previously. We always did what we wanted to do even when we were with enormous labels like Atlantic. We've got a really good team put together to do this. We're not going to be the guy on the other side of the desk." The band recorded the album with J. Robbins (Against Me!) in their hometown, and he once again encouraged them to be themselves. Neil comments, "He's got a really great instinct for capturing the true sound of a band. He's worth his weight and gold with his strong engineering background too." 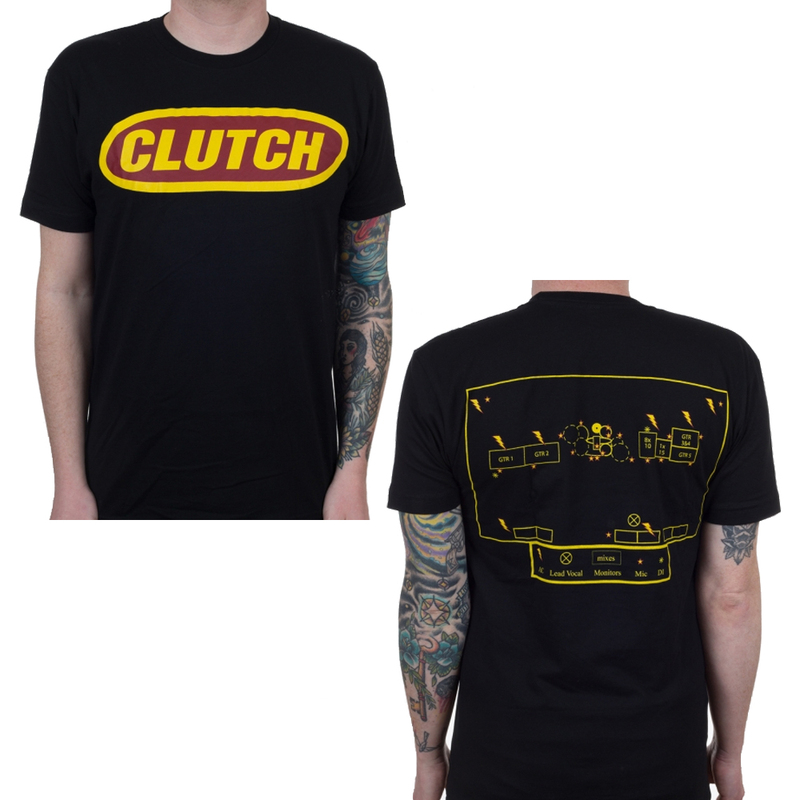 Live, Clutch still own every stage they stomp onto. They remain a highlight at major festivals and music events worldwide from the UK's Download and Australia's Meredith Music Festival to Bonnaroo in the States. They were also a top act at the renowned Austin City Limits Festival in 2009. No matter what the forum, Clutch have cultivated a live show that can't be stopped. 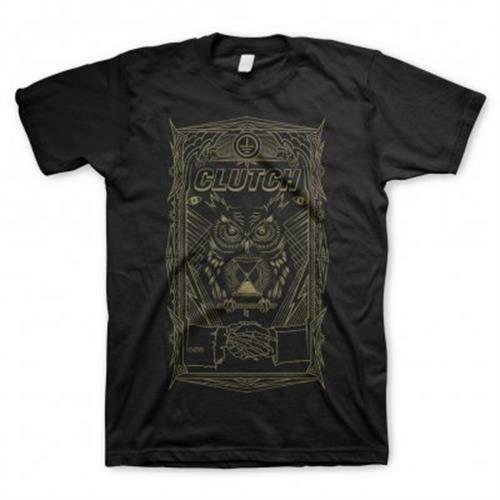 In between all of the festival appearances, Clutch have lined up a slew of headline dates across the U.S. for their faithful. "The live show has stayed very true to form," explains Neil. "Our overall approach and attitude is no different than it was 15 years ago. We want people feel to like they saw a rock concert. We're not adding a lot of bells and whistles. It's just amps, microphones and the crowd. It's like an event or gathering and it's developed a party atmosphere." Ultimately, the band's intentions are as pure as they've ever been. "We want fans to listen to the album and escape reality for a little bit and keep coming back to it for that same reason. When I listen to music, it's either in the background or it's to put on headphones and get away. You have your own movie in your head, and everybody's movie is different. If we're providing that soundtrack, that's a very cool thing. There's a sacred, ancient dialog between the musician and the listener. When that happens, it's priceless. That's what I hope people get out of Strange Cousins. It's more of a philosophical reward than anything else."